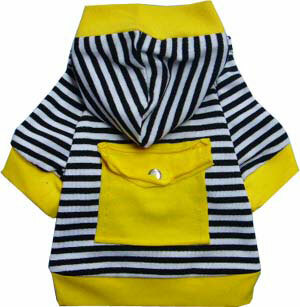 Striped Hoodie Clothes Sweater for Dogs. Cute and fun hoodie that comes with a little pocket. Your dog will love this fun little outfit. The pocket is functional but the snap is for show only. 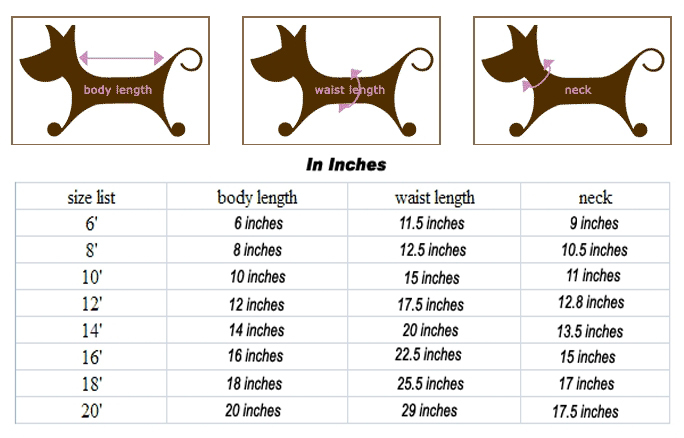 Please check out the size chart for proper fit and size. Color is black, white and yellow as shown. Sizes available are 8, 10 and 12.